Now I really want to try Wonders again with Rochester. For the record, though, I think that the starting Wonder cards do more than enough work of giving you a starting strategy, combined with the build you go down in the first pack. 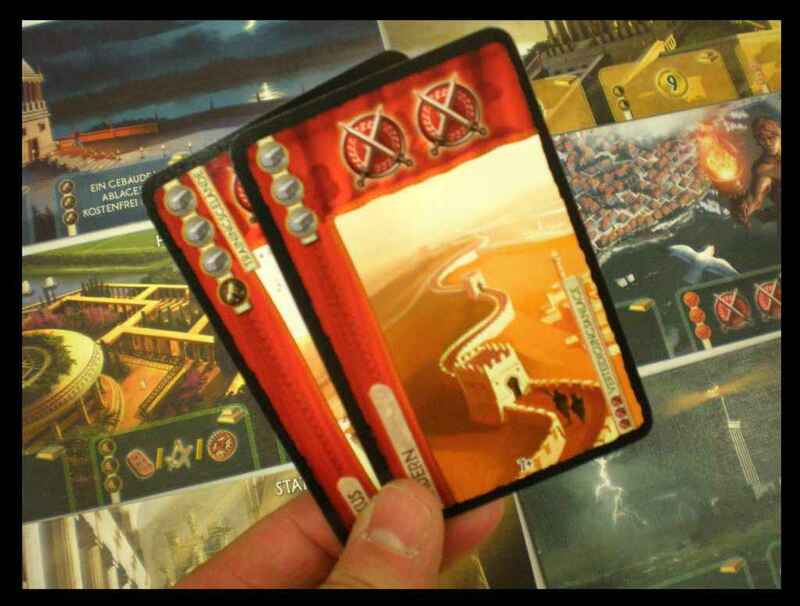 Adding rarity would unnecessarily increase the randomness in 7 Wonders. This is very interesting and insightful. A terrific analysis. Dave – Yeah, I didn’t do a good job of conveying this, but I agree with you. Rares work a lot better when you have high variance in the resolution phase. 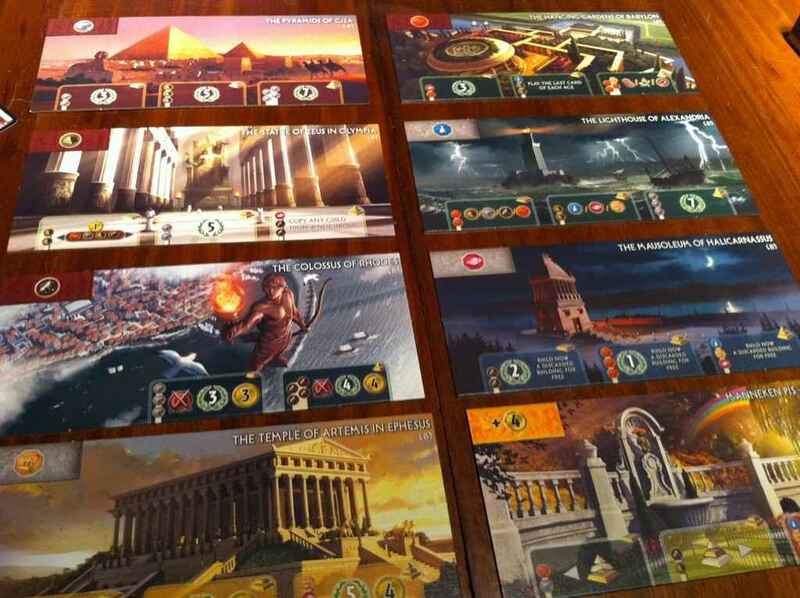 In 7 Wonders they would just cause frustration since someone who opened a reasonable rare would immediately be off to a better start than anyone else. A few of these “pillars” interact such that you can solve an underlying need by using one or the other, which means that I probably should’ve reduced it down to five or six, but I liked the symmetry inherent in using seven. :) Easiest fix would be “start the game from different positions” and “have rares” can be combined into “give players a direction”. You’re welcome. Drafting is one of the major archetypes of customizable games, and I think one of the major reasons so many CCGs failed – they couldn’t be drafted. Your article has a lot of clarity on how to make a game draftable, whether drafting is merely a method of distributing the game-pieces or the game in and of itself. I hadn’t considered the idea of drafting as the game until this article, but it makes great sense. Hmm, I hadn’t thought about it before, but drafting is really a type of auction. More precisely, each pack is its own little auction. 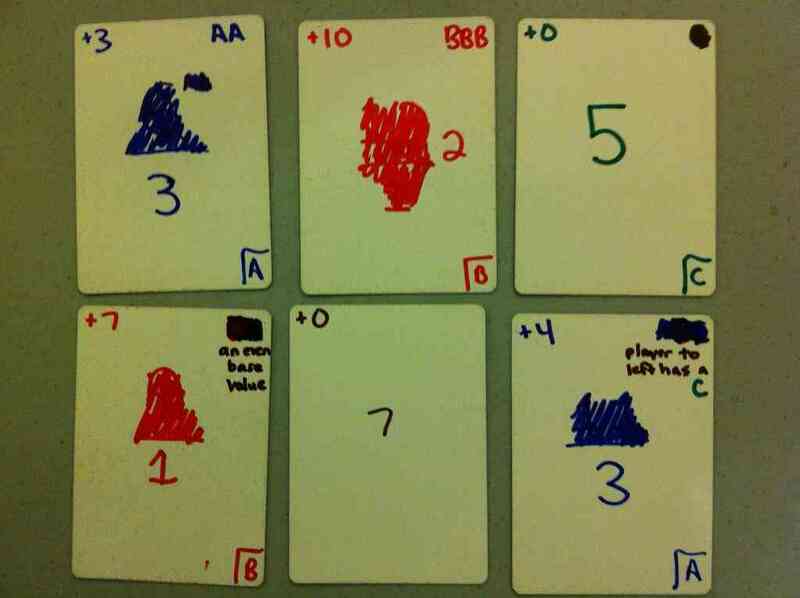 Instead of spending money, opportunity cost is used to restrict the cards each player can acquire. For example, in a Magic draft, one player has a first pick and a ninth pick to spend, the next player has a second and a tenth pick, etc. Disparity in purchasing power within one pack is (largely) balanced by the symmetry of the system; each player has a pack in which he or she gets a first pick. There’s been a fair amount of research on auction theory – I wonder if it would be possible to apply or extend that to drafting. Jonathan, draft is X auctions, correct? Where X is the number of players. The disparity is balanced because you get the same number of picks as each other player across all packs. But within an auction it is unbalanced. Incidently, this puts a lot of pressure on all packs to be roughly balanced, which is why the “rare” scenario is so fascinating. I think the “rare” push is important not because of their power level, but because they segment the auctions into different parties that value different things. By their nature, they have to have more value then the standard card (to be worth taking a risk on), but they shouldn’t have so much power that they unbalance the auction. 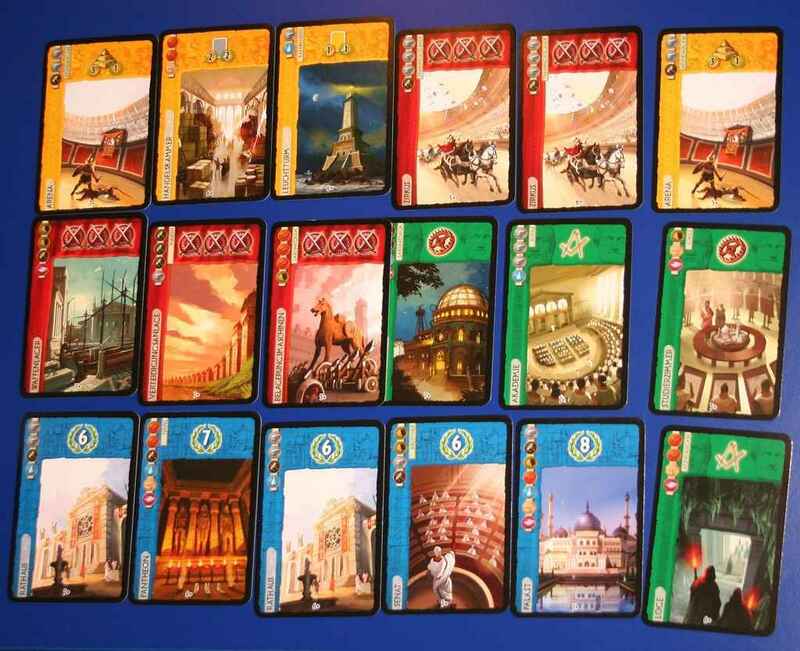 Interestingly, this is an area I’ll claim 7 Wonders does much better then Magic, where their rares are automatically granted at the start (the wonders) and push strategies of relatively equal power level. In Magic, rares have to serve other purposes, so they don’t always push another strategy as strong as they could (such as color), and can unbalance the auction. Worse, first-picks in Magic are usually uncommon, not rare, and often playable in most strategies (because of multi-color decks), yet still only shown up 1x in the auction. I’m currently a beta tester for Darkspore and I was able to find this blog through you’re twitter which I found on your forum signature…haha. Anyway, In regards to the mechanics of Darkspore I can see where you have translated these ideas into the game. It has really just fully dawned on me that Darkspore really is this type of draft-type game. I love in Darkspore how you used the “1st pillar,” in terms of Hero Design. All the heroes have their own little functionality and flavor in which they play. My friend will really prefer Vex or Srs, while I love to use Viper. In terms of pillar 2 I think giving players that chance to get the purified loot and like items is sorta their “rare card.” It definitely gives them direction in which hero to choose and continue using. For pillar 3 I think it was great that you made it great by not having the players do extra damage to different genesis types. This would result in constant memorization or looking back at their heroes. But at the same time squad composition has a big effect on how well you perform in the game itself, and that’s the beauty of it. I love not having to “play every card”(use every hero) in darkspore. I don’t feel I’m missing out because I can still see other use it and I can feel unique in the collection that I have put together. Pillar five I can see as different types of loot matter to some then others. As we are kinda forced our loot via the roll system it doesn’t make much difference but I think you may have used catalysts as this sort of mechanic/pillar. They all drop and can be organized between your team. If you have an all tempest squad you’re going to want those +mind and projectile speed catalysts, where as the Sentinel user won’t care much for them at all. Pillar six is seen when we get the option to change our squad in PvP if we lose and also when we chain levels we can see the forthcoming mob genesis types. Seven didn’t really translate into Darkspore I don’t think. This was def an interesting read as I am an aspiring game designer. I’ve enjoyed the beta so far and you’ve done a great job designing the Living Weapons system and how the user functions the squad pre and post game. That’s something I love about the game is I’m always thinking of new ways to configure my squad and constantly unlocking new heroes. The game doesn’t really stop in my head even though I may not be fighting at the particular time. I always appreciate innovative games and this is definitely a game that goes under that category. Hope it does well :) I’ll sure be purchasing it. 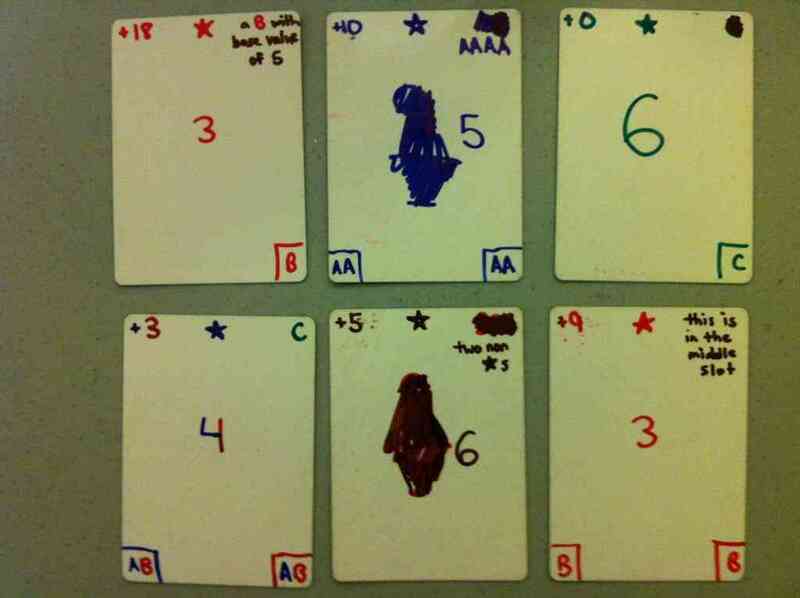 Thank you about tips of board game prototype.